The Jerusalem Jewish Film Festival will take place from December 24 – 29, 2016 at the Jerusalem Cinematheque. Now in its 18th edition, the festival will present 40 films, with Israeli and international premieres, with many opportunities for the audience to meet and converse with the festival’s special guests. Opening the festival will be Mick Jackson’s film Denial (2016), a historical drama based on Deborah E. Lipstadt’s book History on Trial: My Day in Court with a Holocaust Denier. 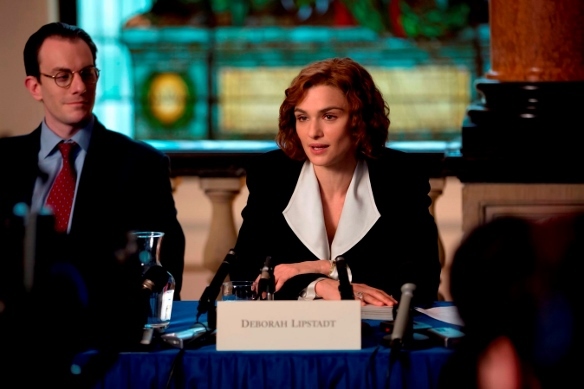 Starring Rachel Weisz, the film depicts the experience of Lipstadt, a professor of Holocaust Studies, who was sued for libel by David Irving, a Holocaust denier. Professor Lipstadt will be in attendance at the film’s screenings on December 24th and 25th, which will be followed by a conversation with the audience about her ongoing efforts against racism and anti-Semitism. Holy Zoo, directed by Katharina Waisburd, will close the festival with a note of optimism and hope for the future. The documentary describes daily life in Jerusalem’s Biblical Zoo, where despite the conflict that permeates every aspect of life in Israel, Israeli Jews and Palestinians work side by side in an oasis of harmony. The screening will be followed by a tribute to the Biblical Zoo, and the film’s director, Shay Doron the zoo director, and zoo employees will have a conversation with the audience. One of the festival’s focal points will be the issue of Jewish identity as it relates to intermarriage, and its expression in film. The festival, in cooperation with the Jewish Funders Network and the Genesis Prize, will host screenings, lectures, and conversations with the filmmakers on this topic. Films to be shown include: The Tenth Man, directed by Daniel Burman, that follows Ariel (Alan Sabbagh) as he returns to his home in Buenos Aires after a long absence, and during the Purim holiday reflects on his connection to Judaism and to his father; A Time to Say Goodbye, directed by Viviane Andereggen, relates the pre-adolescent struggles of 12-year-old Simon Grünberg (Maximilian Ehrenreich) as he travels back and forth between his newly-observant father and liberal mother, and deals with the pangs of first love; and the premiere of Cloudy Sunday, directed by Manoussos Manoussakis (who will attend the screening), a love story between a Jewish girl and a Christian boy set in Thessaloniki during the German occupation in 1943. There is a historical element to this film, as the young man was the brother-in-law of the Greek composer Vassilis Tsitsanis. A special event celebrating the musical connection of the film will be a concert with the Greek singer Sotiris Paptragianis, and a lecture on Tsitsanis and his influential role in Greek music by Razi Greenblat. A special screening of the 1925 silent film His People (also known as Proud Heart), in a restored 16mm print, will take place as part of this program. Directed by Edward Sloman, the film tells of Morris and Sammy, the sons of Rabbi Cominsky, a pious Jew who works as a pushcart peddler on the Lower East Side to make ends meet. The boys each engage differently with their father and with their Jewish identity, and although the father favors Morris, the scholar, Sammy the boxer proves his worth. The screening will be preceded by a discussion with Jonathan Sarna, Professor of American Jewish History at Brandeis University. 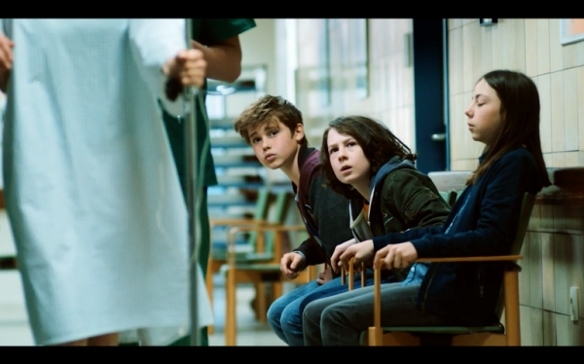 Nine-year-old Johanna, the protagonist of Hanna’s Sleeping Dogs, directed by Andreas Gruber, is a Catholic girl growing up in the Austrian town of Wels. When her grandmother Ruth discloses the secret of her Jewish past, Johanna chooses to identify with her roots, changing her name to Hanna. The film’s screening on December 27th will be accompanied by a discussion with director Andreas Gruber and Dr. Tobias Abrecht-Hartman of the Hebrew University. A festive screening of Fiddler on the Roof (1971) starring Haim Topol, in a restored copy will take place with the audience invited to join in on all the favorite songs: Lechaim, If I was a Rich Man, and Tradition! On a more serious note, there will be a panel discussion on the topic of Jewish Cinema as a question of identity – Who is a Jew? This year, the festival will hold an international film competition for Jewish film. Among the participating films: Paradise, directed by Andrei Konchalovsky, recipient of the Silver Lion for Best Director at the Venice International Film Festival, 2016. The elegantly sober film shot in monochrome focuses on Olga, a Russian aristocrat concentration camp inmate and an SS officer with whom she had a romantic past. In Stefan Zweig: Farewell to Europe, directed by Maria Schrader, Josef Hader portrays the esteemed writer during his exile from Europe, and realization that the world and culture he knew is collapsing. The Origin of Violence, directed by Élie Chouraqui, based on the eponymous semi-autobiographical novel by Fabrice Humbert, recounting the experience of Nathan, a teacher who discovers the photograph of a man closely resembling his father at the concentration camp of Buchenwald. The revelation eventually uncovers years of family secrets. The screening will take place in the presence of the director. Additional participating films: Un Juif pour l’exemple, directed by Bruno Gantz; The History of Love, directed by Radu Mihăileanu, based on the novel by Nicole Krauss; Les Enfants de la chance (The Children of Luck), directed by Malik Chibane; and the premiere of Sipur Ahava Eretz Israeli (an Israeli love story), directed by Dan Wollman. The festival will also feature a program of international documentary films, films that focus on prominent Jewish thinkers, and Israeli films on Jewish topics, as well as short films by film students and youth. 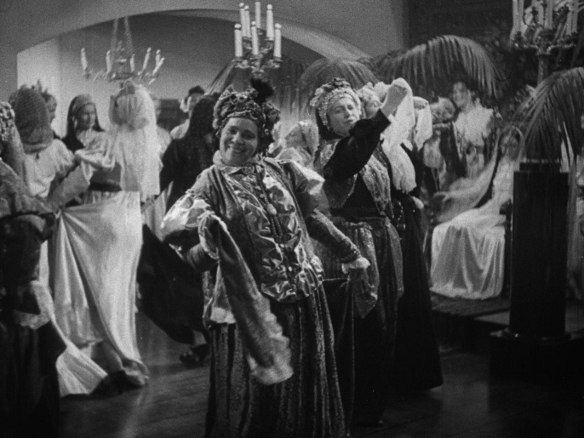 Don’t miss seeing the restored copy of The Dybbuk (1937)! Tickets may be ordered online from the Jerusalem Cinematheque, or call *9377.